Detangling your hair in the shower is usually easier because the hair is wet and you probably comb conditioner through it to make it more slippery. There will be times when you may need to work through tangles on dry hair, so here's how to do it without pulling handfuls of hair out in frustration! This isn't a process to rush through, so if you only have 15 minutes, put this off for another time. Spritz if needed. It's a good idea to have a spray bottle handy filled with water, a water-based product, a leave-in conditioner or a water/oil mixture. Adding moisture to your hair makes it easier to comb through, but you can just spritz only as much as needed since this is supposed to be a dry detangling session. Section the hair. Use a rat-tail comb or your fingers to divide your hair into sections. The number of sections may range from four to eight, or more, depending on the length and thickness of your hair. Create as many sections as you need; the smaller the section, the easier it will be to detangle. Use hair clips to keep the rest of the hair out of the way. Work through tangles with your fingers first. Adding finger detangling to any detangle session is a gentle way to begin the process. You can work out major snags without pulling out too much hair. Instead of raking your fingers downward through knots, ease tangles apart. When you pull down on knotted sections, they can tighten, making it much more difficult to untangle them. By gently pulling tangles apart, working outward, you have a better chance of saving your hair. Using a wide-tooth comb, begin at the bottom of the first section of hair. While using one hand to comb, use the other hand to firmly hold the section of hair near the bottom. Slowly work the comb through until the bottom is free of tangles before moving up the hair. Once you reach the roots and can work the comb through the section once or twice, move onto the next area. Continue to spritz hair if it dries and you need additional moisture. Work your way up the hair section to the root, making sure you can comb freely down to the ends. Once a section is detangled, clip it out of the way, or loosely twist or braid it to prevent it from tangling again. Repeat this for all sections of the hair. 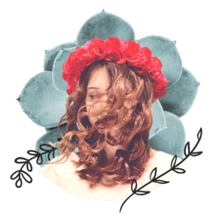 If you've ever endured a four-hour detangling marathon that left your arms feeling like jelly and your scalp like it had taken a beating, try these tips the next time you want to detangle dry, curly hair. Detangle on a regular basis: Your detangling sessions will go much more smoothly if you do them regularly instead of only on occasion. Unless your hair is in a protective style, you should try to work through your hair from roots to tip at least once per week. 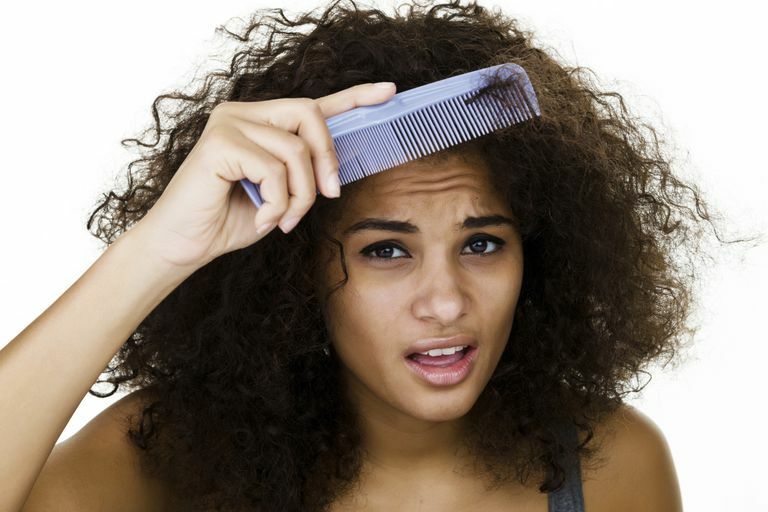 Many women find that detangle sessions take hours when they fail to do it routinely, leading to frustration, tears and excess hair loss. Use products with slip: This can be whatever works best for you, whether it's plain olive oil or your favorite conditioner. The more slip you have, the easier it will be for your fingers and hands to glide through and over your tresses. Avoid the need to "over"-detangle: Don't get caught up in the idea that your hair must be 100% tangle-free. With natural locks, tangles are part of the package. As long as you can freely work with your hair and no snags are preventing you from styling it, the occasional mini-tangle can be overlooked.